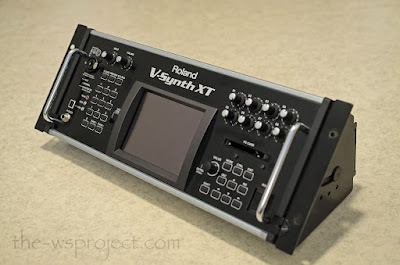 The Roland V-Synth XT represents the more modern end of my synths. And it really is a feature-packed thing! There’s very much to offer if you are into designing sounds. There’s a comprehensive analog modeling synth engine, and PCM samples can also be used as oscillators. But the PCM-side on V-Synth is not another "rompler". Instead of your regular multisampled instruments found in many workstations, the V-Synth utilizes the VariPhrase technology, basically meaning you have complete control over the time of the samples. The PCM-side is truly a synthesizer, not just samples played back - it is Elastic Audio Synthesis. You can add your own samples too. The V-Synth XT really has too many features to analyze here – COSM filtering, lots of quality effects, even the huge color screen can be used as a TimeTrip-pad and so on. 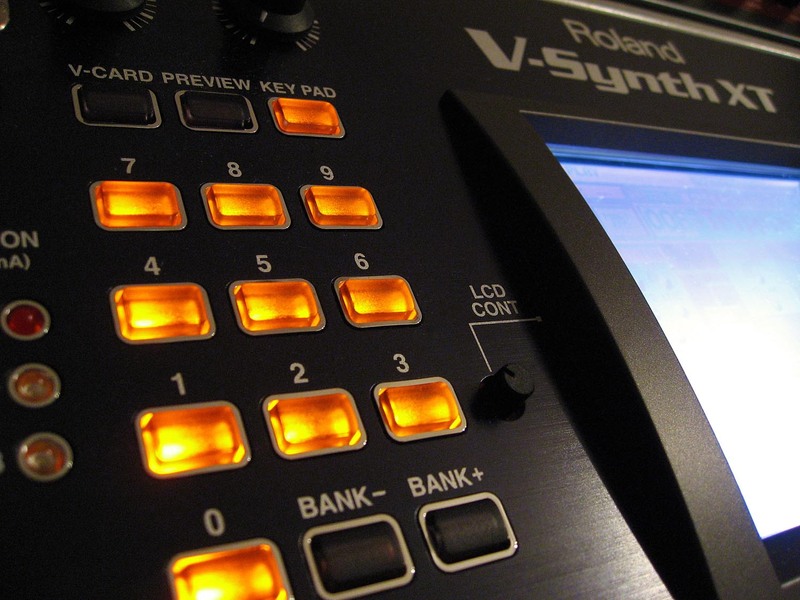 But it’s the sound that counts, and here the V-Synth offers a lot. Synthwise there’s nothing it couldn’t do. You should not expect acoustic grand pianos or things like that as this thing is a synthesizer. It’s very good on complex and evolving sounds, but I prefer real analogue synths when it comes to basic sounds. Once I was trying to get a simple lead sound into a piece I was working on. I got the sound I was after and then tried to get it to work in the mix. I adjusted the sound for quite a while and wasn’t happy with it. Eventually I turned over to the ancient Korg Micro-preset, picked a flute preset and voila – that was it! The sound of Micro-preset was instantly clear and present in the mix without being too loud at all. Sometimes I think I don’t like the sound character of the VariPhrase-technology either. But still the V-Synth has so much to offer I’d regret selling it. 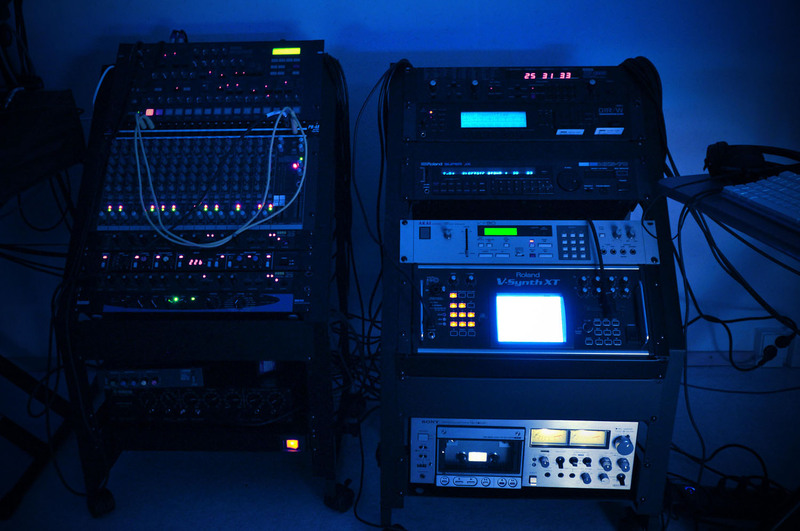 The V-Synth XT is a (4U) rack/ tabletop module. 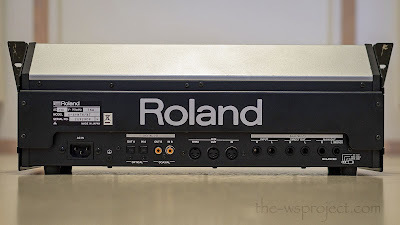 It’s not directly a rack-version of the original V-Synth nor the newer V-Synth GT. The XT is somewhere in between perhaps, (closer to the GT, I think). But it has the otherwise optional V-Cards pre-installed. And that’s great! The Roland’s famous digital synth from 1987 is fully reproduced here. It’s great fun to have that classic vintage instrument inside the V-Synth. I still has to confess that I don’t like the sound of D-50 too much, but it’s still fun and interesting for a synth-head like me to have it. The Vocal Designer has to be one of the best modern vocoders around. But it’s even more than just a vocoder as it does advanced vocal modeling. I like it even though I very seldom use vocal-based stuff in my music.